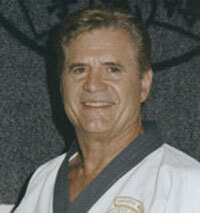 The Ship Sam Seh was an integral part of the evolution of the art of Soo Bahk Do Moo Duk Kwan. The Ship Sam Seh is a systematic approach to the art of Tae Kuk Kwon, teaching self defense theory through the practice of Hyung. Within the Tae Kuk Kwon hyung, you can find all of the points of Ship Sam Seh. It’s important to note that Ship Sam Seh philosophy goes beyond physical training and includes Weh Gong, Neh Gong, and Shim Gong aspects. 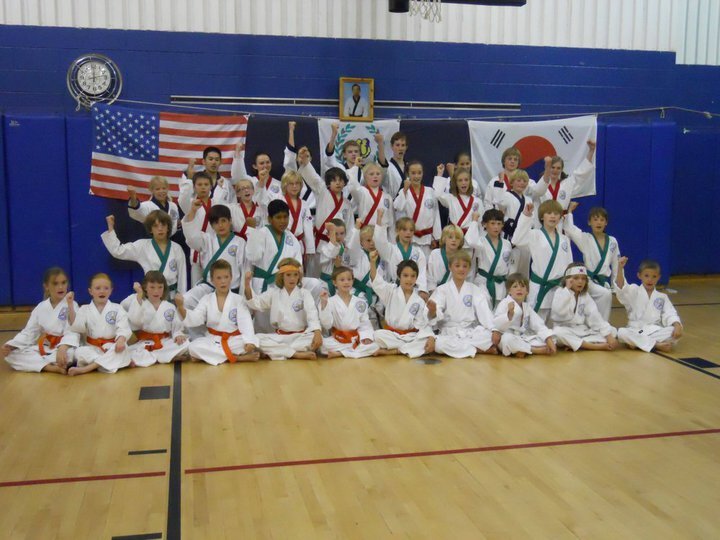 The scope of this article will look primarily at the Weh Gong application of Ship Sam Seh and how it affected the evolution of Soo Bahk Do Moo Duk Kwan in Hyung and Dae Ryun practice. First, we examine the history of Ship Sam Seh. Throughout all of history, man has tried to understand the workings of the universe and his relationship with both Heaven and Earth. One of the earliest texts dedicated to the study of nature and the relationship between the elements is the I Ching 易經 (Ju Yuk in Korean). The I Ching represents the world via 64 sets of of six lines each called hexagrams (卦 gwe). The Solid line —– represents Yang and a broken line — — represents Um. 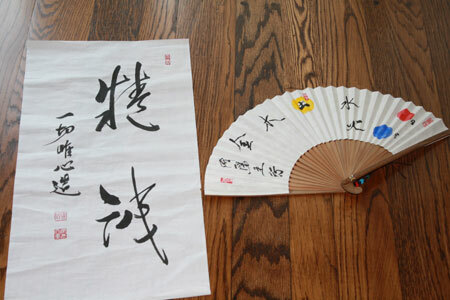 The interactions between the solid lines (yang) and the broken lines (um) were represented by the Um and Yang symbol, called Tae Kuk (太極), meaning Grand Ultimate. I equate the teachings of I Ching to simply mean Um/Yang Philosophy. dominate the other, thus one would be superior and the other inferior; or the two forces would be equal, becoming neutral. They examined how the forces of Um and Yang impacted Humanity. This is the essence of I Ching. Everything around us has an opposite: hot and cold, high and low, summer and winter, fire and water. Um energy is soft, yielding and passive. Yang is hard, aggressive and active. Striking a balance between Um and Yang energies would result in Tae Guk or Grand Ultimate. Tae Guk is a state of neutrality where perfect harmony exists. Energies naturally flow from yang to um and back to yang effortlessly. Neither force dominates the other. Western minds think in a linear fashion with a beginning and multiple steps leading to an end. Conversely, Eastern thought can be illustrated better by a circle. There is neither a beginning nor an end but a circle filled with a number of phases, each leading in both directions to another. An example that can be found in both Western and Eastern culture is the concept of the “circle of life”. Initially, you may think of life as a straight line beginning with birth (yang) and ending in death (um). However, after we die, our bodies return to the earth and give nutrients to the soil to produce more life (yang), which will eventually produce more death (um). This endless circle is an example of how nature is constantly flowing from Yang to Um energy. This Um/Yang philosophy can be found in many aspect of Korean culture from the way that they eat, build a home, divinate, or even fight (kwon bup). The variation of Um/Yang philosophy that correlates with kwon bup is known as Ship Sam Seh (13 Principles/Influences/Postures), though the application is much more holistic than mere “fist techniques” (8). Most scholars agree that the martial arts from Japan, Okinawa, and Korea all stem from China. Where there may be documentation of Chinese martial arts beginning before the Shaolin Temple, we can agree that Shaolin is the most famous. There is also some evidence that shows that the indigineous Korean martial art Soo Bahk was created in isolation of Chinese influence. While that may or may not be true, Hwang Kee, Chang Shi Ja received most of his formal training in China and was heavily influenced by Chinese styles such as So Rim Jang Kwon and Tae Kuk Kwon. As a result, to better understand the impact of Ship Sam Seh on our Art, it’s important for us to take a look into Chinese martial arts. The Ship Sam Seh is broken down into two components, each a representation of Um/Yang Philosophy: Pal Gwe or 8 Forces/Directions and Oh Haeng, or 5 Energies/Elements. They were used as fundamental principle of Tae Kuk Kwon. Though the creator of Tae Kuk Kwon is unknown, many attribute Chang San Feng (張三豐), or Jang Sam Bong in Korean, as thefounder4. In his treatise, the Tae Kuk Kwon Kyung (太極拳經), he introduces Ship Sam Seh5: Peng, Lu, Chi, An,Ts’ai, Lieh, Chou, and K’are equated to the Eight Trigrams. Having an understanding of Ship Sam Seh philosophy will teach you how to react to neutralize an attack. If someone attacks high (yang), then counter low (um). If your opponent has a strong straight line (yang), then side-step off of his line (um). There are, however, more strategies than merely Um and Yang. You have only scratched the surface of the possibilities. The Pal Gwe and the Oh Haeng are derivatives of Um/Yang, each having an Um or Yang characteristic, but each is also distinct with its own set of unique attributes. The Pal Gwe, or 8 forces, are connected to the 8 directions on a compass. This shows your positioning in space and the ability to move in the 8 directions by stepping, hopping, lunging, etc. Without stepping, you can also use Pal Gwe on the way you move your mass. This is done by moving your waist: Left, Right, Forward, Backward, Up, Down, Clockwise, Counter clockwise. Besides physical direction (yang), each Gwe has a specific strategy or technique (um) associated with it that applies directly to dae ryun. Many of the indiviual techniques and strategies can also be found in the Yuk Ro and Chil Sung Hyung. The Sa Jung, or four principle directions, are considered “Yang” and are more aggressive and should be used when there is a greater distance between you and your opponent. The intent of these strategies may include exposing vulnerabilities for counter attacking, redirecting the energy of an attack, creating distance from your opponent, or disrupting your opponent’s center and rendering him off-balance. The table below lists the Sa Jung. The Sa Wu, or intermediary directions, are “Um” in nature and are designed for in-close fighting. In-close fighting has a new set of challenges and opportunities. You can trap, grab, or pull a limb as a counter measure or even as an attack. You can also strike, create distance, or disrupt your opponent’s center. Table 2 lists the Sa Wu. Just as the Um and Yang philosophy was an ancient way of explaining nature, the Oh Haeng was a further attempt to explain more complex forces of nature. The Oh Haeng, or 5 Elements/Energies include: Fire, Water, Wood, Metal and Earth. Each element produces a unique energy (Ki) that can be cultivated for Kwon Bup and for health. Within the context of Kwon Bup (fist fighting), each element has unique attributes and can be sub-divided by Um (internal) and Yang (external). The Oh Bo are the 5 Steps—Advance, Retreat, Right, Left, Center—and refers only to direction of movement. In traditional Ship Sam Seh, the 8 Postures are combined with the 5 Steps so Pong (ward off) could be performed by stepping forward, back, twisting right, twisting left, and maintaining your center. The internal strategies, called Oh Mal, are much more telling: Listen, Connect, Adhere, Redirect and Yield. Table 4 summarizes the Oh Mal. Fire Jin—Advance Chum Listen Hands—Listen with your whole body. Water Toe—Retreat Yeon Connect with your opponent. Literally means “Chariots in a row”. Control your opponent. Wood Koe–Move Left Jum Adhere, stick to your opponents (sticky hands). Metal Ban–Move Right Soo Follow and lead as you adhere. Take control. The O Mal, or 5 Strategies, seem to be a set of ordered instructions on how to face an opponent effectively. Many of these strategies can be found intertwined in the Song of Ship Sam Seh–though the Song of Ship Sam Seh does not discuss Ship Sam Seh directly. The first step is to have good shi sun and “pay attention to the slightest change from full to empty.” Listening hands has to do with reading your opponent based on his eyes, body movement, stance and breath. Once you begin to read your opponent, then you try and connect with him. “Surprising things will happen when you meet your opponent.” Move in harmony with your opponent so that you move as one entity. “Pay attention to the slightest change from full to empty”. This is the beginning of controlling your opponent. Once you have gained a connection with your opponent, you must maintain it by adhering to him. This can be done physically through an exercise called “sticky hands” or it could be a mu sang exercise where you maintain a harmonious connection with your partner. Learn to follow or lead your opponent without aggression. You will begin to control your opponent without any effort (following) as a result of this connection. Each strategy seamlessly prepares you for the next strategy. Unlike the rest of the Oh Haeng and Pal Gwe groupings, these strategies are to be used simultaneously. The principles of Ship Sam Seh that we have discussed thus far have been neatly packaged into a single form called Tae Kuk Kwon. Tae Kuk is the name for the Um/Yang symbol and Kwon translates to “fist”, or the fist fighting style of Um and Yang. Within the hyung, Pal Gwe and Oh Haeng are expressed. By practicing Tae Kuk Kwon Hyung, one can begin to understand the sparring principles of Tae Kuk Kwon. This same pattern can be found today in Soo Bahk Do Moo Duk Kwan through hyung practice. Soo Bahk Do also has a set of Hyung that we use as guiding principles into our art. These are the hyung created by Hwang Kee, Chang Shi Ja called Chil Sung Hyung, Yuk Ro Hyung, and Hwa Sun Hyung. It’s also interesting to note that there is another set called Ship Dan Kuhm that are not widely practiced. After practicing the hyung, we extrapolate sparring concepts and apply them to Ja Yu Dae Ryun. Modern-day examples include Hwa Kuk Jang Kap Kwon and Peet Cha Gi. Even today, we are in the process of evolution as the USA TAC define a new way of sparring at the US National Festival that better demonstrates our philosophy of Um/Yang, connection, and unique Soo Bahk Do technique. This new sparring format better aligns with the principles we learn in our unique hyung. Though we do not practice all of the 8 postures of Tae Kuk Kwon, many of the principles are the same. Pal Gwe, or the 8 directions, can be likened to the 8 different ways of moving your center: front, back, up, down, right, left, twisting clockwise, twisting counter clockwise. I’ve found that every technique incorporates one or more of these directions. Ahp Cha Gi is primarily front. Dullryo Cha Gi utilizes front and twisting with the direction depending on which foot is kicking. Hu Gul Choong Dan Soo Do Mahkee includes twisting, back, and down. As the mass moves in the 8 various directions using Soo Bahk Do techniques or “postures”, we can also apply the 5 steps. We attack generally by moving forward and defend by moving back. Oftentimes, a better defense is to step left or right into what we call a “sidestep.” The term “bujuhang” is of particular interest because it can mean non-aggression. This is done traditionally by standing your ground and yielding to an attack without necessarily using footwork. Bujuhang is a great way to summarize our philosophy towards sparring. Our blocks are very yielding and receptive in nature. We prefer to receive or redirect energy rather than attempt to stop or destroy it. Our focus on side stepping and creating distance from the attack are ways that we prefer to not oppose a force. A good example of this is the application of Do Mal Shik E Bon against a high attack. Our sparring is very unique with the purpose of creating harmony with a partner rather than creating conflict. This is a result of moving and responding according to the laws of nature. When one is offensive, the other is defensive. Clashing is discouraged as this creates disharmony by both parties moving offensively simultaneously. As discussed above, our blocks are truly “Um” in nature, receptive rather than aggressive. Most self defense systems portray a defense as an opportunity for offense and the block is done in an aggressive fashion. This is contrary to the laws of Um and Yang. Though our techniques are primarily from Weh Ga Ryu, our philosophy and approach is very Neh Ga Ryu, similar to Tae Kuk Kwon because we follow the same Ship Sam Seh philosophy. The history of our martial art is richly based in Ship Sam Seh philosophy which centers around the interaction between Um and Yang. The way we move and the way we approach combat is in alignment with Um and Yang. It is clear that Hwang Kee, Chang Shi Ja greatly valued the Ship Sam Seh and its elements can be found scattered throughout the forms he created. As we continue to better understand Ship Sam Seh and how it relates to our training, the art of Soo Bahk Do Moo Duk Kwan continues to evolve based on the principles of Ryu Pa.
Much of this article was a result of my personal readings from the publications below as well as conversations with Jang, Dae Kyu, Sa Bom Nim who gave me many insights into the meaning of Ship Sam Seh, Um Yang, and Chil Sung. Tae-Kuk Ki is the national flag of the Republic of Korea. The circle in the center of the flag represents Um (blue color) and Yang (red color). The background color white represents brightness and purity. 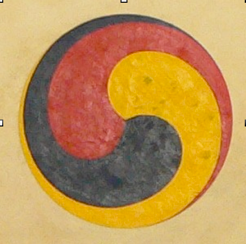 This is the symbol of Korean national traits, the love of peace and harmony. Tae-Kuk (the Great Absolute) is the expression of the universe (Heaven and Earth) that promotes creation and growth by complying with mutual interaction. It symbolizes the natural balance of opposition in the world. From ancient times, our ancestors delightedly valued and utilized these Tae-Kuk principles. They also illustrate the Korean ideology of desirable prosperity and creation of well-being. Therefore, we must succeed in the spirit of the Tae-Kuk Ki (Um and Yang principles) and provide unity and harmony to world peace and happiness by applying its principles. Memorization alone will not bring the desired result. Until we, as Moo Do In (Practitioners of the Martial Way), understand the philosophy of Tae Kuk and act in accordance with these principles, we will fail to reach our full potential and become a mature, masterful Moo Do In. Without righteous actions founded upon Tae Kuk Ki, there is no value obtained. I’ve copied a very old tape that explains the philosophy of hyung (forms) for Tang Soo Do (Soo Bahk Do) Moo Duk Kwan. Kwan Jang Nim H.C. Hwang demonstrates some advanced, traditional forms such as Wang Shu along with what appears to be self-designed sparring combinations. I hope you enjoy learning more about the history and philosophy of our art. Soo Bahk! For Christmas, I received a VHS to DVD converter. For years, I’ve had a very old video with footage of Kwan Jang Nim Hwang Kee explaining his Tang Soo Do Moo Duk Kwan system. It’s probably the 10th copy of a copy and the quality is quite poor. Luckily, I was able to convert it in time so there is a permanent record of the past. I’ll be posting more footage that I have in my personal collection as I convert them to digital format. This clip features the founder of Tang Soo Do (Soo Bahk Do) Moo Duk Kwan, Hwang Kee, discussing the philsoophy and purpose of the art he created, which is based on improving human relations by training in Weh Gong, Neh Gong, and Shim Gong. Enjoy! Thanks to Master Daniel Segarra, former member of the US Soo Bahk Do Moo Duk Kwan Federation and the current founder of his own art–Moo Sa Do Kwan–for posting these priceless videos of Tang Soo Do Moo Duk Kwan. The first one is Kwan Jang Nim H.C. Hwang himself sparring. The second is an instructional video. Both were filmed in the 1960s, the Golden Age of the Moo Duk Kwan.